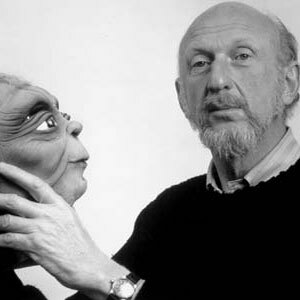 CASE HISTORY: A graduate of the University of Southern California film school, Irvin Kershner began his career in 1950, producing documentaries for the U.S. Information Service in the Middle East. He turned to television in the 1950s, directing and photographing a series of documentaries called Confidential File. Kershner was one of the directors given his first break by producer Roger Corman, for whom he shot Stakeout on Dope Street. The main theme that runs through many of Kershner’s films is social alienation and human weaknesses – although his biggest commercial success was the sci-fi blockbuster Star Wars: Episode V – The Empire Strikes Back. And also, man that guy will tell a story. This entry was posted on Sunday, June 18th, 2006 at 12:00 AM	and is filed under Anecdotal Personality Disorder, Case Studies, Dr. Gourley's Case Studies and tagged with Irvin Kershner, Jeremy Carter, Matt Gourley. You can follow any responses to this entry through the RSS 2.0 feed.